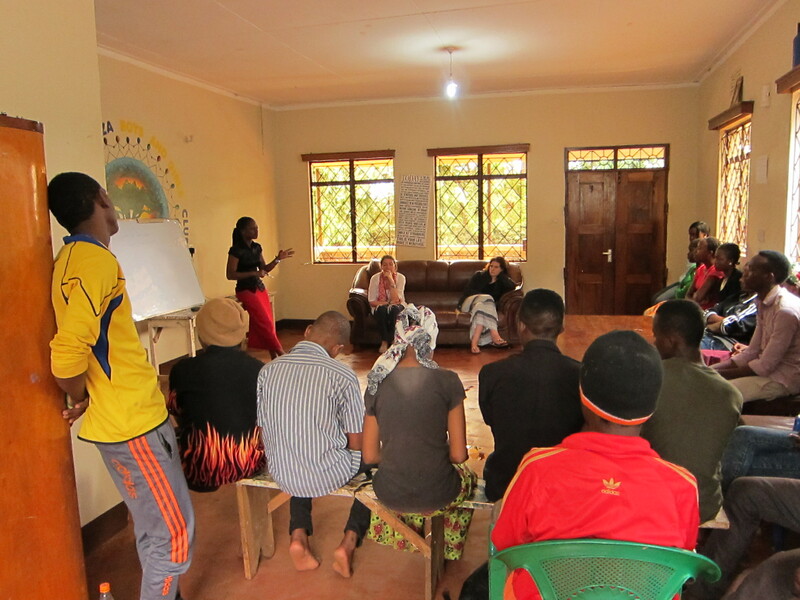 Pauline is currently working as an accountant at the Brilliant Youth Foundation in Moshi, Tanzania. The below post was written during her time volunteering with AVC. My name is Pauline Gregory and I am volunteering at an organization in Moshi through Africa Volunteer Corps. My placement is a center that helps youth from different backgrounds by providing a safe and healthy environment for them to learn and grow. I focus on teaching business and entrepreneurship, as well as leading self-enhancement workshops for girls. I got involved with AVC after I graduated from university because it was really difficult to find a job and I wanted to use and share the knowledge I learned in school, instead of just sitting at home and losing it! In Tanzania, it can be difficult for a person to ask for a volunteer position with an organization, but AVC makes this process much easier. The community recognizes them as a trustworthy organization so they are able to place volunteers of different education and skill levels with local organizations. One of the first meetings we had when I started volunteering with my placement was very special to me and made me feel proud. The meeting was with the organization’s leaders and volunteers. In the past my experience was that local Tanzanian volunteers were not treated the same as the foreign volunteers. At this meeting, I was the only local volunteer, and I really felt that I was important and valuable. I felt proud when I was able to talk about my experience and ideas, and the leaders told me they appreciated me. It helped to raise my confidence! It is important for organizations to see the value of having local volunteers. When foreign volunteers come, they can share what they know about their life at home but it isn’t compatible with what life is like here in Tanzania. For a Tanzanian to share what they have learned and provide guidance for Tanzanian youth is more useful and makes more sense. Pauline teaches business to youth. One of my responsibilities is to lead discussion groups with girls to help them work through challenges. A common challenge for girls is the pressure to marry at an early age. I help teach girls the value of creating an independent life, and being able to support themselves. I also teach business and the preparation of accounting books to the youth. I am learning to be a manager and an entrepreneur. We have three groups of 35 students working on entrepreneurial projects like selling paintings and jewelry. I teach them how to find customers, how to retain customers and other important things like demand and quality. I assist them in preparing financial statements and am in charge of record keeping for the sales and materials. I have loved being a Volunteer through AVC because I am trusted at my working place. I feel successful because I get blessings by helping others who are in need. I have learned that volunteering is not only for elites to help society, but for everyone. I will always encourage the spirit of volunteerism to my community, especially African youth.